Retail Sales (AUD, GMT 01:30) – Measuring the total value of goods sold, retail sales are considered an indication as to how consumer spending evolves in a country. Higher retail sales and, subsequently, higher consumer spending, suggest a growing economy which is good for the currency. Consensus forecasts suggest a mild reduction in retail sales, at 0.3%, down from 0.4% in June. Retail Sales (CHF, GMT 07:15) – Consumer spending in Switzerland is expected to remain flat on July, with a positive surprise expected to have a positive impact on the currency. Outcome: Retail sales for Australia showed zero growth for July, in contrast to what was expected. However, there has been very little change in the currency, moving less than 3 pips on the announcement. Negative news about Swiss retail sales, which came out at -0.3% did not cause a deterioration in the currency as the Purchasing Managers’ Index figures showed a much more positive outcome than expected (64.8 while expectations were at 60.8), resulting in a 9 pip increase. Rate Decision (AUD, GMT 04:30) – Interest rate setting is the most important scheduled policy decision in a country. RBA is not expected to push through with another rate hike given the “anaemic” wage growth in Australia. Manufacturing PMI (USD, 14:00) – Index values higher than 50 are bullish signs, while below 50 are considered to be bearish. Consensus forecasts on the US PMI suggest that it should stand at about 57.7, along with other positive macroeconomic news for the US. Outcome: As predicted, no change in interest rates took place at the RBA meeting. The currency did rise approximately 7 pips but not for clear reasons. Manufacturing PMI came out much higher than expected, at 61.3, leading to a 10-pip decrease in the EURUSD pair. Gross Domestic Product (AUD, GMT 01:30) – The Gross Domestic Product figure, is probably the most important economic data announcement for a country, closely followed by the unemployment rate. Australian GDP is expected to be slightly lower in Q2, albeit still growing strong at 2.8% YoY, compared to 3.1% in Q1. Services PMI (GBP, GMT 08:00) – Consensus forecasts for PMI services suggest that it should stand at about 53.9, with a bullish outlook given that it is higher than 50. Rate Decision (CAD, GMT 14:00) – BoC is not expected to change its interest rates, especially considering that a rate hike already took place in July. Given previous statements of BoC officials, rate hikes are expected to be much more gradual. Canadian trade balance on GMT 12:30 is also expected to remain close to the previous month’s values. Outcome: Australian GDP was higher than expected, at 3.4% YoY, however leading to just a 4 pip increase on the announcement with respect to the Dollar. Services PMI came out at 54.3 which, however, led to small losses for the GBP. The predicted no-change in the BoC meeting did not cause any disruptions in the markets. Trade Balance (AUD, GMT 04:30) – The Australian trade balance is expected to be less positive in July, standing at 800 mln compared to 1.8 bln in June. Note that positive surprises are usually good for the currency while negative ones are usually bad. Labour Market Data (USD, GMT 12:30) – Unit Labour Costs, Non-Farm Productivity, and Jobless Claims all come out at the same time, with overall positive forecasts on the US labour market. Non-Farm Employment, coming out on Friday, is expected to have increased in August. Outcome: Better than expected Trade Balance figures made the AUD increase by 10 pips upon announcement. Labour market data gave out mixed signals, which only made the Dollar appreciate by 3 pips against the Euro. Leading Economic Index (JPY, GMT 05:00) – The Japanese leading indicators are expected to register small increases in July, following the Tokyo CPI unexpected increase. However, given the fragility of the Japanese economy, surprises on either direction could perhaps be expected. Non-Farm Payrolls (USD, GMT 12:30) – Event of the Week. Along with Thursday’s employment data, payrolls are important in gauging how many people are employed in non-agricultural businesses. Jobs are expected to have increased in August, at a higher number compared to July. Average Hourly Earnings and the Unemployment rate, both coming out at the same time, are also expected to have improved in August. Employment and Unemployment (CAD, GMT 12:30) – The Canadian unemployment rate is expected to have increased slightly in August, while the net change in employment is expected to have been very small. Outcome: The Japanese Leading Economic Index came out as expected, while the Japanese Coincident Index registered a small decline compared to expectations. Still, the JPY increased slightly compared to the Dollar and the Euro. 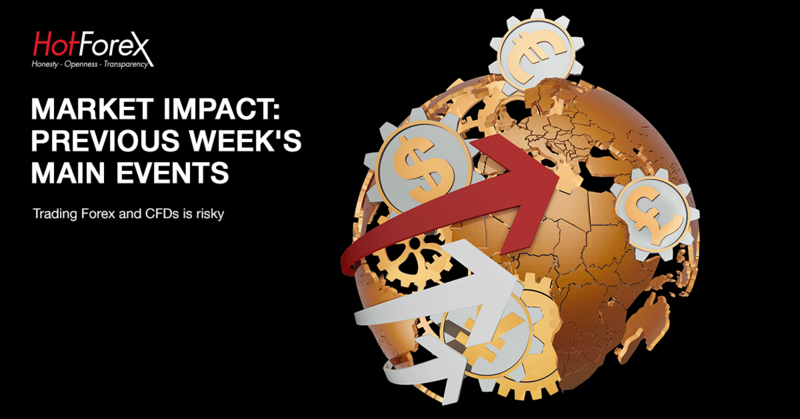 NFP figures were stronger than expected, with the Dollar rallying against the Euro, in anticipation of better-than-predicted results. Canadian labour market data were worse than expected, leading to an impressive 50-pip drop with respect to the GBP.